Jill Avery is a Senior Lecturer at Harvard Business School where she teaches Marketing, Branding + Different, and Field Immersion Experiences for Leadership Development. Her research focuses on brand management and customer relationship management issues. Her research on online brand communities won the Harvard Business School Wyss award for excellence in doctoral research and a Marketing Science Institute Best Paper award. 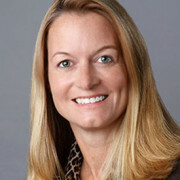 Her work has been published in Journal of Consumer Research, Journal of Marketing Research, Journal of Marketing, International Journal of Research in Marketing, Harvard Business Review, MIT Sloan Management Review, Business Horizons, Journal for the Advancement of Marketing Education, and European Business Review. She has written a series of teaching cases on branding that are available from Harvard Business School Publishing. Prior to her academic career, she spent nine years managing brands for Gillette, Braun, Samuel Adams, and AT&T, and spent three years on the agency side of the business, as an account executive managing consumer promotions for Pepsi, General Foods, Bristol-Myers, and Citibank. She received a D.B.A. in marketing from Harvard Business School, an M.B.A. in marketing and finance from the Wharton School, and a B.A. in English and art history from the University of Pennsylvania.